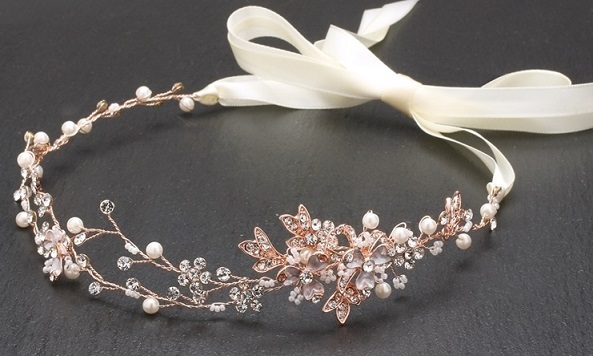 We know you are looking for the perfect bridal headband to complement your gown and wedding jewelry. We are here to help by offering hundreds of the latest styles. We have bandeaus, side accent styles, hair wraps, and vines that feature pearls, rhinestones and crystals so you are sure to find the right look for your wedding ensemble.